Watching golf is a lesson in character, and Tiger Woods stands out with his tenacious attention and intensity. Over the four-day PLAYERS tournament, I love to ponder the inner dynamics of golf. The tournament leaders are on full screen display for the duration. In the moments of dire disappointment as well as brilliant play, every expression and gesture is broadcast to the planet. Resilience is requisite; good golfers handle their nerves. It was riveting to watch Tiger’s performance at THE PLAYERS, and an honor to paint him. 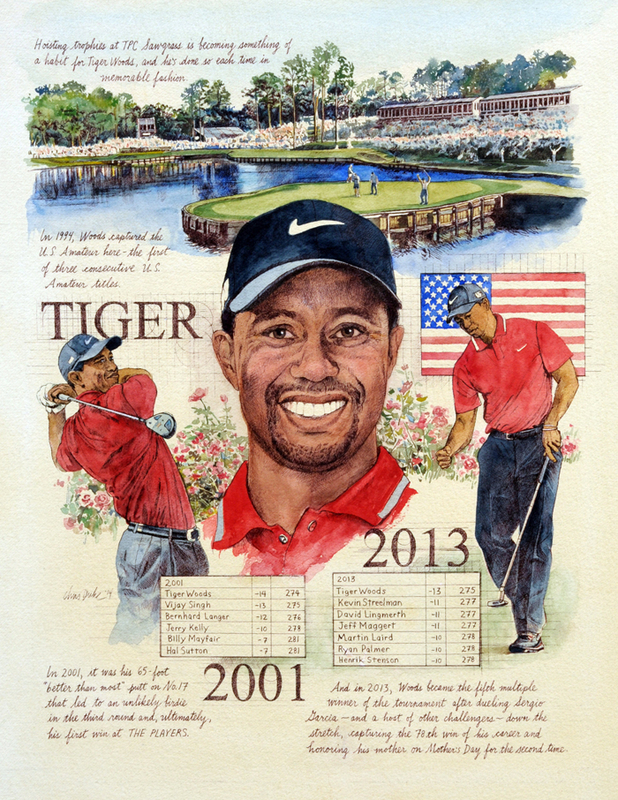 Please see my News update about painting Tiger's 2013 portrait for the Sawgrass gallery in Ponte Vedra, Florida.